A corgi got the chance to become an adoptive mother after losing her own pups. In August, Irma was pregnant with seven puppies and was rushed to the hospital during birth. After a cesarean section, none of the puppies survived. 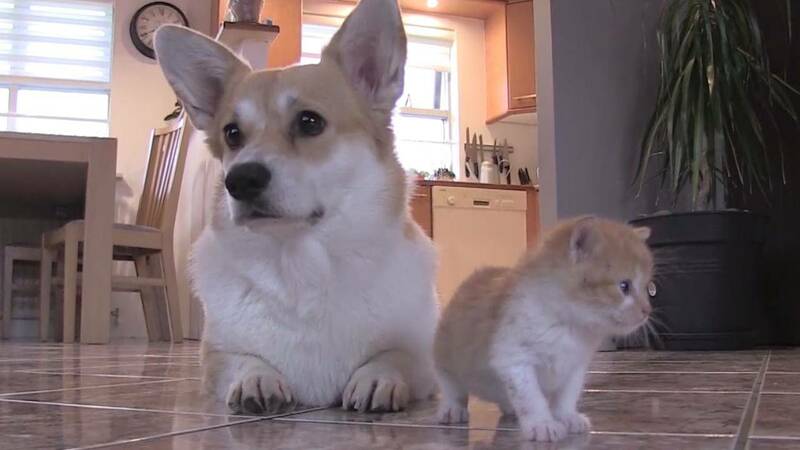 In order to help the dog cope with her grief, Irma’s owner adopted a 2-week-old kitten. The new mom is certainly taking her duties seriously. In video captured of the pair, the kitten snuggles up to Irma. They now barely ever leave each other’s side. Why Does Queen Elizabeth Love Corgis?